Swamiye Sharanam Ayyappa – this is the chant every Lord Ayyappa devotee utters, especially on pilgrimage to Sabarimala, on the Western Ghats of Kerala, India, the abode of the Lord Ayyappa. He is revered by most Hindus of South India. He is believed to be the son of Shiva (God of destruction) and Mohini – the female avatar of Vishnu (preserver and protector of the universe). 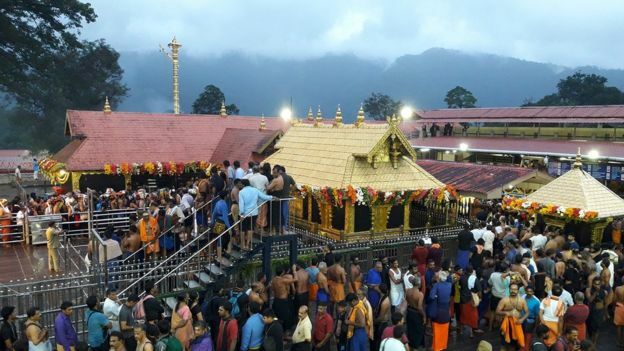 Any devotee undertaking pilgrimage to Sabarimala is expected wear a Rudraksha chain, observe 40 days of fasting, penance and continence, walk barefoot, wear black dress, etc. 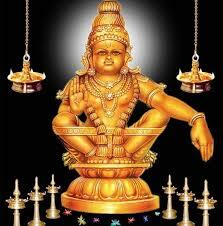 Another name of Lord Ayyappa is Sastha which means Buddha. Buddhism is believed to have entered in Kerala by 3rd Century BC. The constant and repeated chants, especially the word Sharanam is that of the Buddhists. The chain the pilgrims wear comes from the Rudraksha chain of the Shaivites. The strict fasting, penance and continence is taken out of the beliefs of the Vaishnavites. Ahimsa is taken from the Jains. Myth has it that the King of Pandalam, childless, got a baby from the forest and took him to his palace and called him Manikantan. Later, the Queen delivered a baby and the she wanted the adopted son to be thrown out. Conniving with the Minister, the Queen pretended to be ill with the royal doctor prescribing Tigress’ milk as cure. Manikantan was tasked to procure Tigress’ milk from the forest. Knowing the intent of Manikantan’s visit, the King of the Gods, Indra, transfigured into a Tigress. Manikantan climbed on top of the tigress and led the way back to the Palace. Manikantan pardoned everyone who plotted against him and nominated his younger brother to the throne. He then took the King to the forest , blazed an arrow toward a hill and asked the King to construct a shrine for him where the arrow landed. He also requested his father to come annually to visit him at the shrine. It is believed that the Pandalam Royal Family are descendants of the Pandya dynasty of Madurai, Tamil Nadu. The Pandya King fled to Kerala after losing the battle against Malik Khafer, General of Delhi Sultan Alauddin Khilji and settled in Pandalam in 1202 AD. 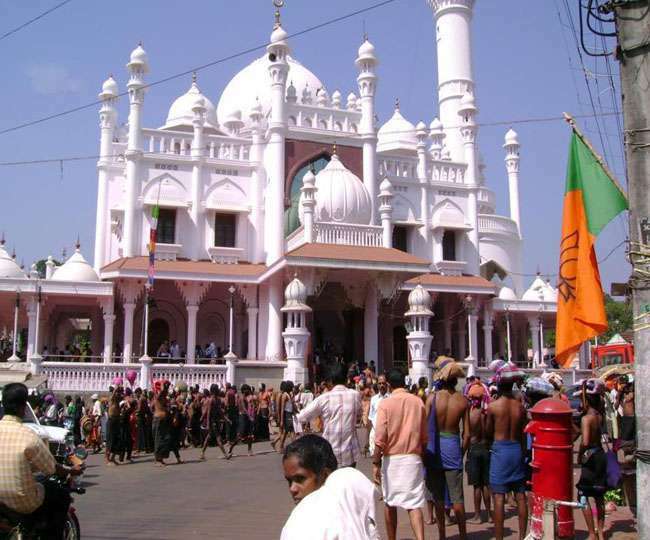 There is an Islamic angle also to the belief in Lord Ayyappa. Vavar, a Muslim forest brigand was shown the path of righteousness by Lord Ayyappa and he became the trusted lieutenant of the Lord. When Lord Ayyappa took to his abode at the hilltop of Sabarimala, Vavar took up his position at the foothills in a Mosque at Erumeli. Ayyappa devotees on pilgrimage first pay their respects to Vavar at the mosque before undertaking the trek uphill to the Temple. What is the significance of Lord Ayyappa to me, a Syrian Orthodox Christian and an Indian Army Veteran? In December 1982, I was commissioned as a Second Lieutenant to 75 Medium Regiment of Artillery. A regiment in Artillery is divided into three gun Batteries. 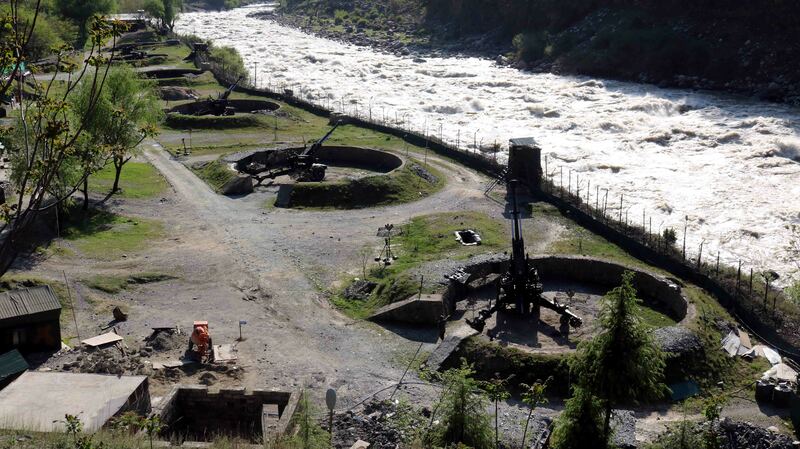 A Battery operates six guns, manned by about 150 soldiers. The Regiment then had an interesting class composition. One battery was of Brahmins (other than those from the Southern and Eastern States of India), the second had Jats and the third was manned by the soldiers from the four Southern States. In those days, any Young Officer posted to the Regiment would serve with each of the batteries for one or two years in order to make them familiarise with the soldiers. I too went through this rotation beginning with the Brahmins, then with the South Indians and then with the Jats. On promotion to the Rank of Major, I took over command of the Brahmin Battery with Major Joginder Singh, a Sikh, commanding the South Indian Battery. 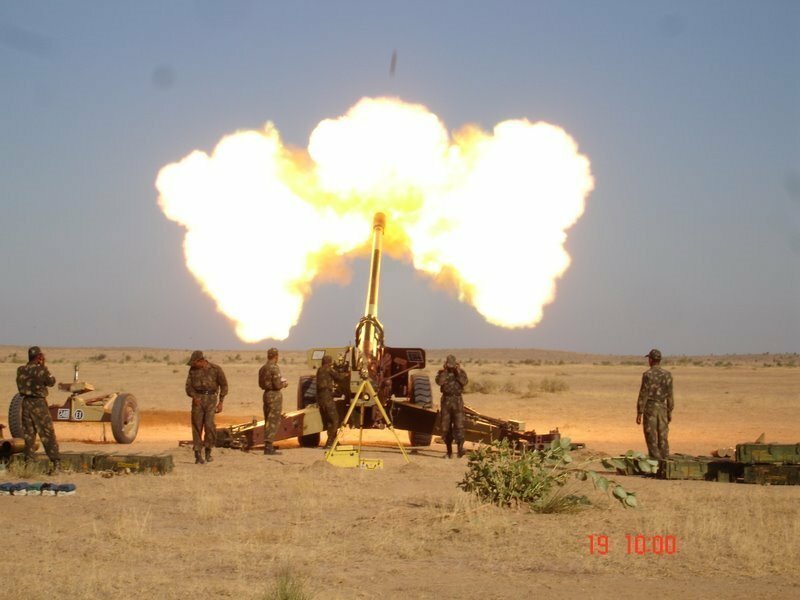 The War Cry of the South Indian Battery was ‘Swamiye Sharanam Ayyappa.’ It is believed to have been introduced by Captain AN Suryanarayanan, who was the Adjutant of the Regiment in the early days of the Regiment. He later rose to command the Regiment and is now a Veteran Brigadier. ‘Sawmiye Sharanam Ayyappa’ reverberated on the battlefield when the Regiment saw action during 1971 Indo-Pak war during the Battle of Basantar River. Our Regiment was honoured with the Honour Title ‘Basantar River’ based on the Regiment’s performance in war. 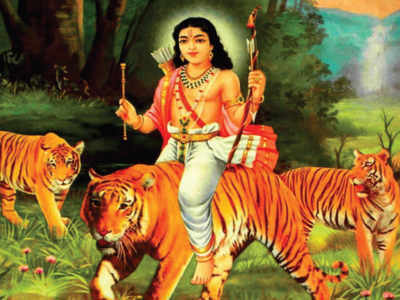 Lord Ayyappa is a warrior deity and is revered for his ascetic devotion to Dharma – the ethical and right way of living, to deploy his military genius and daring yogic war abilities to destroy those who are powerful but unethical, abusive and arbitrary. Hence ‘Swamiye Sharanam Ayyappa’ is an apt Regimental Battle Cry. We said it loudly before we undertook any mission, before commencement of engaging the enemy with our guns, while on training, while on the playing fields, at any competitions, and so on; why it reverberated whenever we got together, while in service or post retirement. Reji, informative article. Thanks. 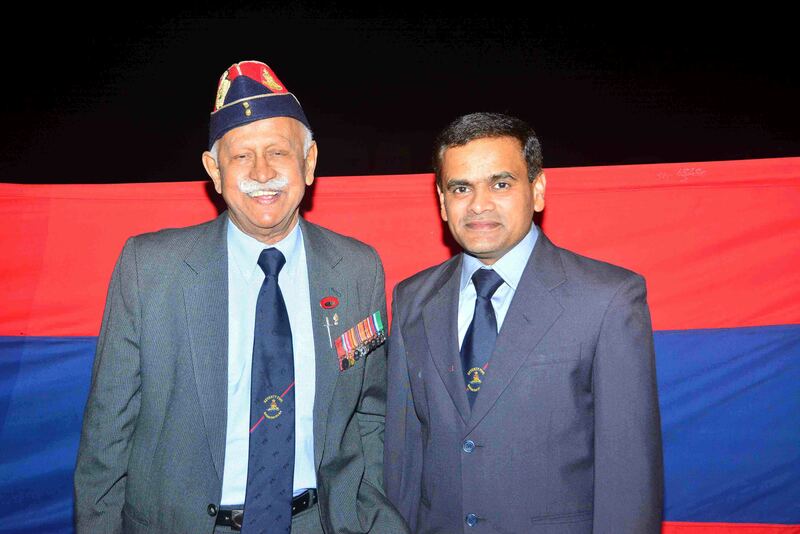 Brig A N Surya had joined our Regt in 1976 as a Maj. Thank you Koduvath Reji for mentioning my name. I had joined as BC 751 in Feb 1976 at Nasirabad. Though I readily don’t recall giving this cry to 753, but yes I do remember there was an Iyappa Servicing Stn in N’bad in the Regt run by 753 and I may have suggested it to them during a Regt Bara Khana when other btys had their own. Felt like a meal without the dessert…..
Reji sir a very informative article at the most appropriate time when there another battle cry is reverberating all over Kerala. I must admit that I never knew the history behind Swamy Ayyappan and Sabarimala till date. My compliments to you for bringing out such a nice informative blog for all of us. Thanks. Good write up. The mythological part of Lord Ayyappa needs a bit more study. The birth or existence of any Hindu God had a purpose. Even Mohini was for a purpose basically to eliminate Demons. So also Ayyappa’s going to the forest had a purpose. Linking of Swamy Saranam to your Regiment and your personal life is a unique approach and well appreciated.